After a dozen long term care facility residents died when Irma knocked out the facility’s air conditioner, lawmakers passed a requirement for all such facilities to have backup generators. But the Agency for Healthcare Administration apparently will not inspect Florida nursing homes before the next storm season begins in June. The new law requires Tampa nursing homes to have backup generators which can power the facility for at least 96 hours. But AHCA has been very vague on the inspection details. A spokesperson promised to “keep you updated as we move forward.” There are also some weaknesses in the law itself. The state can grant a two-year compliance extension in some cases. Moreover, a violation may only mean a small administrative fine. The Tampa fire department may assist in these inspections, but this department faces its own manpower issues and may be unable to help. In September 2017, twelve residents at a Hollywood Hills nursing home essentially suffocated in an overheated post-Irma nursing home that had lost power. The Rehabilitation Center at Hollywood Hills is not the only nursing home in Florida that struggles with patient overcrowding and staff under attention. In fact, these things may be the norm in Tampa. Most of these facilities rely heavily on Medicaid funds. This program has cut its reimbursement rates deeply over the past several years. As a result, many Tampa nursing homes take on as many patients as possible, hoping to make up lost per-patient revenue with volume. So, many nursing homes are literally bursting at the seams from a physical standpoint. They are almost constantly under construction with either add-ons or repairs occasioned by overuse. Additionally, Medicaid has changed the way it issues reimbursement. Instead of paying for each patient contact, Medicaid often pays a flat rate based on the patient’s overall health. Therefore, Florida nursing homes have a financial incentive to accept high-risk patients and ignore them to the greatest extent possible. Falls are a major issue at almost all nursing homes. Over 60 percent of Long Term Care (LTC) facility residents fall each year. This problem is especially acute in construction areas. Due to overall health, age, medication, and other factors, many nursing home residents wander aimlessly with little awareness of their surroundings. It’s easy for them to overlook “Keep Out” signs or not properly interpret them. These individuals often slip on under-construction floors or suffer other similar physical injuries. Additionally, there is a direct relationship between the onset of bedsores, as well as the seriousness of injury, and patient care levels. Patients who rotate in bed every two hours almost never develop pressure ulcers. 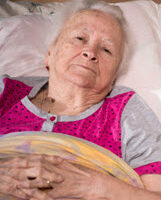 For various reasons, LTC residents are often unable to turn themselves over. Staff must either remind them or physically turn them. But as mentioned earlier, many Tampa nursing homes discourage frequent patient contact. That’s especially true during weekends, nights, and other low staff level periods. If caught early enough, pressure ulcers usually go away on their own. If neglected even a little bit, they are often fatal. Nursing home abuse is all too common. For a free consultation with an experienced personal injury attorney in Tampa, contact The Matassini Law Firm, P.A. After-hours visits are available.